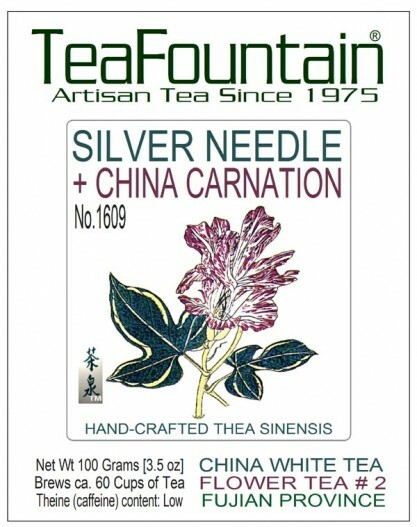 Special Grade Custom Crop with flowering Chinese carnation | Antioxidant-Rich | A ‘Pearl of a White Tea’ from the Tai Mu hills/Fujian Province in Southern China. 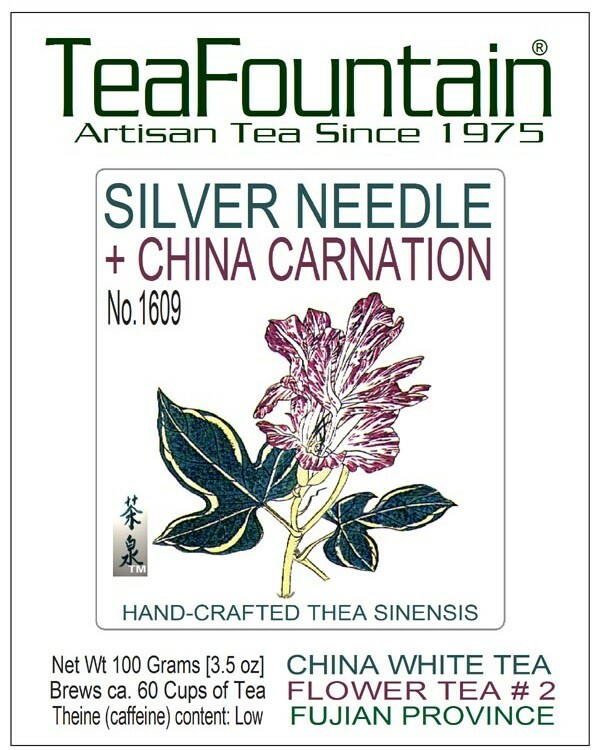 The Silver Needles are tied together in the shape of a large button and hold a Chinese carnation blossoms in the center. During the infusion the button will open and expose the large purple blossom. This ‘Flower Tea’ is prized for its special rich flavor. The infusion is clear and pale with a delicate flower scent. Serve as a healthy, cleansing and refreshing all-day tea or as an ‘Entertainment’ and display tea at dinner parties. Use hot, not boiling water for preparation. Makes many infusions per serving. 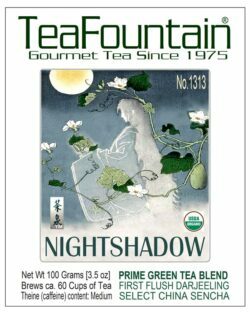 Ingredients: Whole Leaf White ‘Thea sinensis’ tea tips & leaves, and Chinese carnation flower from the Fujian Province in China.